Finally, The wait for the most awaited car of the year is finally going to be over.Tata has announced that the booking of its Nano will start from this February End and you will have to pay Rs 70,000. But, even after paying 70% of the car’s total cost, the wait could be quite long. Sources familiar with development said that all dealers of Tata Motors and branches of the State Bank of India (SBI) will accept bookings simultaneously across the country in the next three weeks. SBI will initially engage 100 branches and take the number eventually to 1,000. 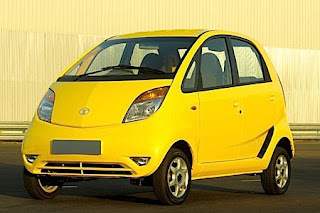 Tata Motors and SBI have entered into an exclusive arrangement for the Nano car. SBI will not only act as sole lender to buyers but also offer its branches for bookings.